How has the first week of April treated you? I don’t want to knock you over with shock, but I finally spotted one lone daffodil blooming out by our pond. That’s how far behind our East Coast spring is from some parts of the country. Did you read my April Fool’s Day story on Monday? My son never did pull that epic prank, but he did give me an “I dropped the ball as a mom” moment. Apparently, “every kid” but him had an April Fool’s trick in their lunchbox, “lovingly” placed there by their moms. It was probably one kid, not every kid, but I fell for the mom guilt nonetheless. On Wednesday I shared a tutorial…no, that’s not the right word. I shared a cautionary tale about pretty pictures on the internet and what not to do if you decide to paint a marbling effect on your fake Easter Eggs. As much as I joke about all the things that go wrong with my projects, sometimes things do go right. One of my most popular blog posts is a copycat recipe for Dave’s Killer Bread. It was a recipe I adapted and tweaked to make it my own. I still bake this bread and eat it EVERY DAY and have for years now. It’s part of my routine and I hope my kids grow up associating that fresh baked bread smell with home. The comment thread on this blog post is quite long. People have added their questions and tips over the years. It brings me SO MUCH JOY to engage with you all this way. And I’ve learned so much from these commenters. 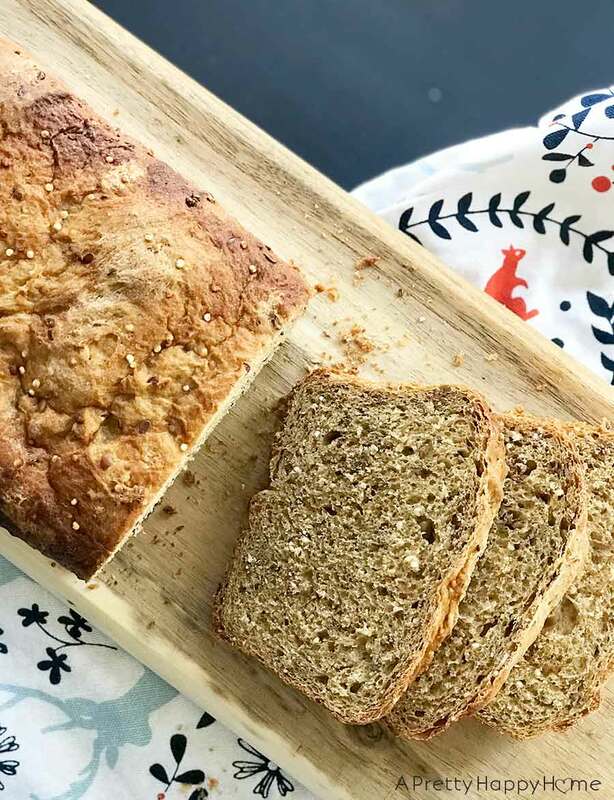 This week a reader, Diana, took the time to provide nutritional information for the bread and posted it for everyone to check out. This made my year! She said she’s been making this bread for awhile now and this was her way of giving back. Figuring those details out would have been the worst kind of torture for me, so I’m glad she took on the task. Thank you, Diana! I’m feeling a lot of warm fuzzies for you guys right now! If you have a daughter, you will know that they reach an age where they don’t like anything you like. 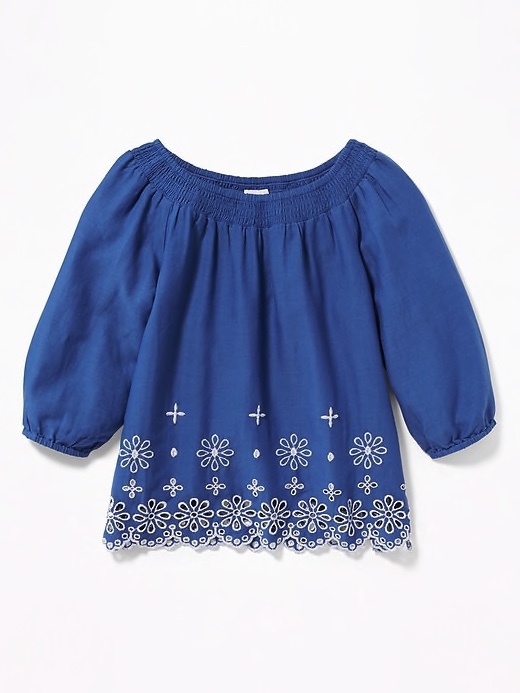 My almost 12-year-old picked out this eyelet hem blouse from Old Navy this week in the blue color AND in white. She loved it so much she bought it twice! It really is cute. But don’t tell her that I like it too! I can think of at least three people whom I have on speed dial (not that I call, I text!) 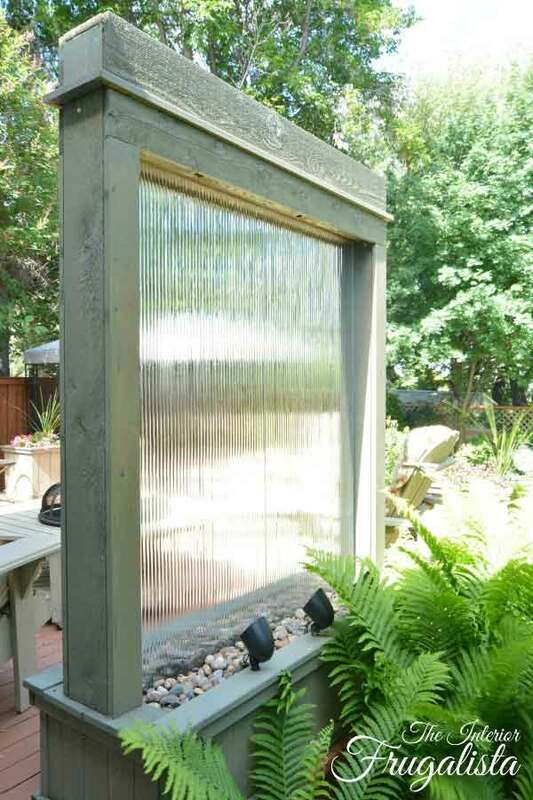 that should build this water wall feature for their deck or patio. All the details including a lumber cut list can be found at The Interior Frugalista. I missed this poem, written by an 11th grader, when it originally went viral in 2014. Read all the way to the end and you’ll see why it is powerful and very clever. I love clever ideas! 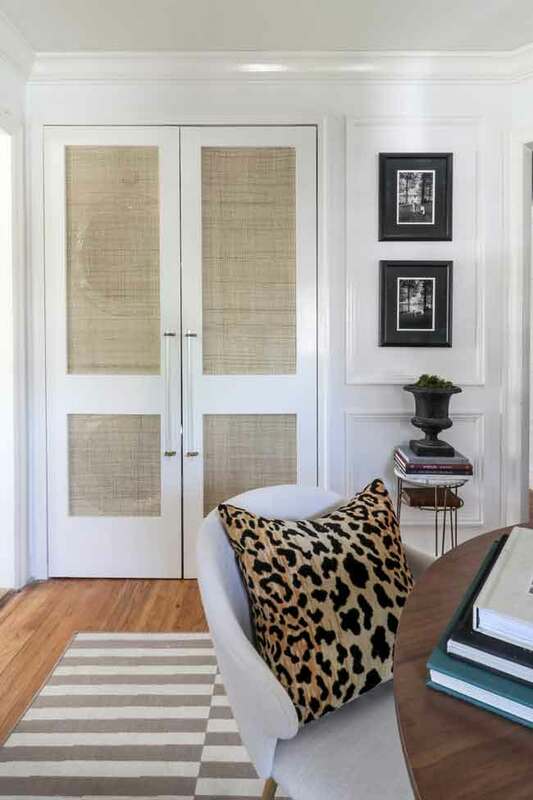 Kristin at Hunted Interior just shared a really neat DIY idea for making cane doors. I’ve always wanted to use caning on something! You’ll never guess what those doors are hiding! Or maybe you will if you really stare at the picture. 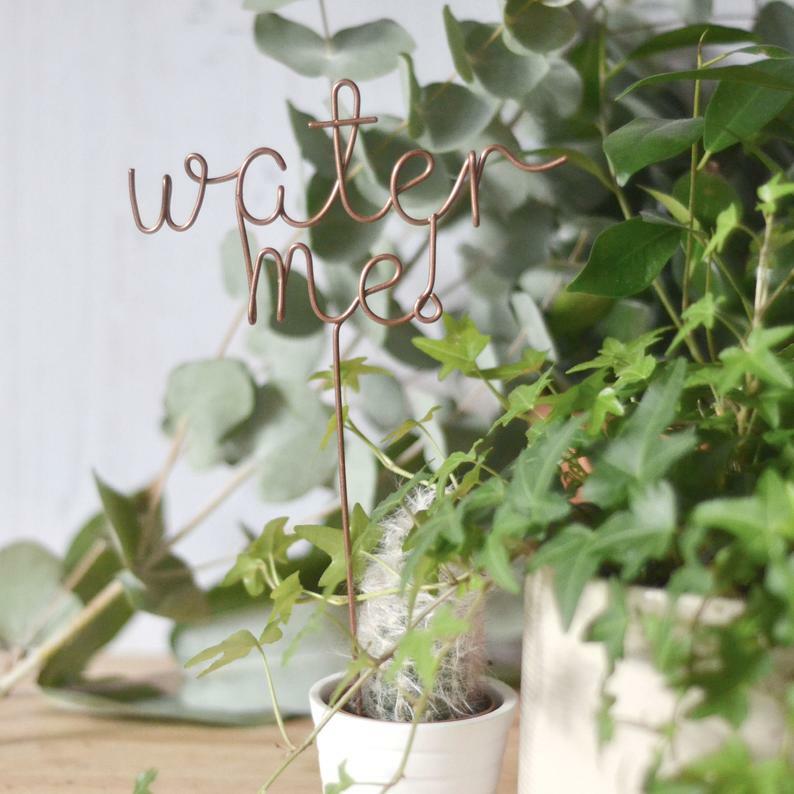 Her how-to is in this post and you need to check it out! 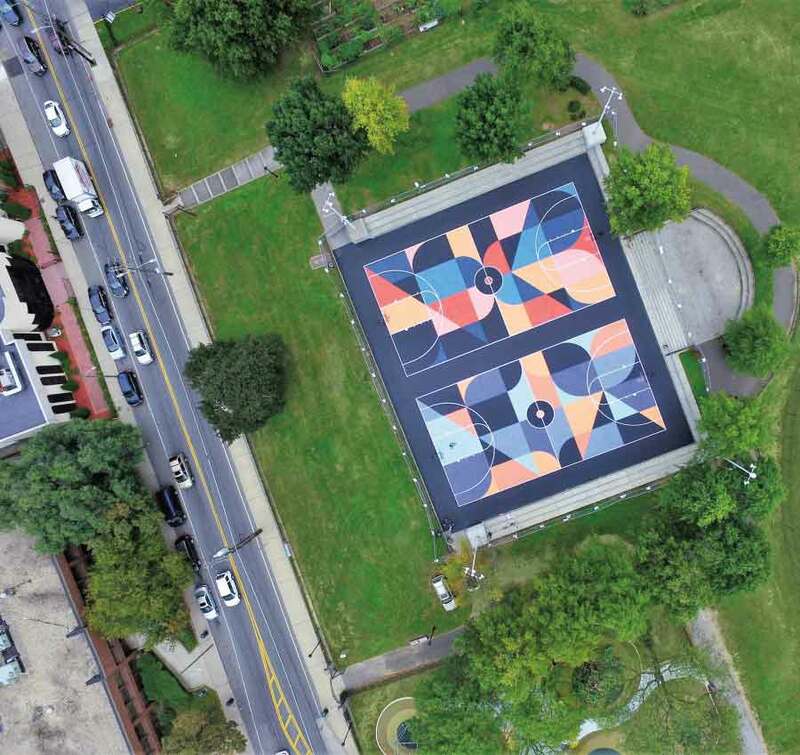 To read more about how Project Backboard started and how these refurbished courts are bringing communities together, read this article in Domino. I spend A LOT of energy thinking about my children’s education. New Jersey has 66 vocational schools. The graduation rate is 97%. Three quarters of the graduates go on to college or other post-secondary education. Perhaps more importantly, they’ve turned these schools into sought-after institutions that really seem to be prepping kids for the workforce. Some of the kids in the article were studying to be electricians or mechanics. Others were learning medicine or hospitality, to name a couple of examples. Also, a friend recommended a great article in the NY Times titled “Stop Asking Kids What They Want To Be When They Grow Up.” It’s a great read. This would be a fun gift for a silly/white elephant gift exchange. 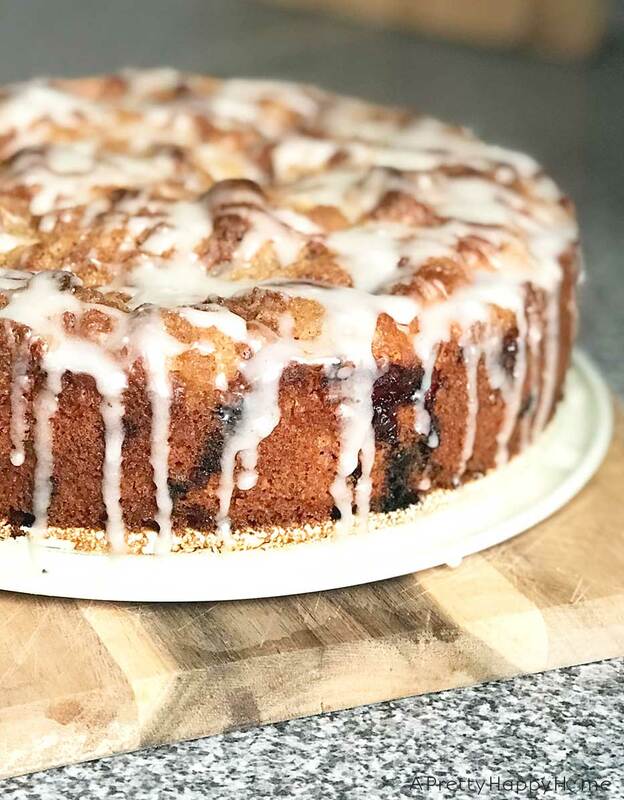 If you need an Easter brunch or an anytime brunch idea, how about Blueberry Coffee Cake? Mmm. I hope you have the happiest time with whatever it is you are doing! Until Monday, you can definitely find me on Instagram and Pinterest. Sometimes I post on Facebook too because I’m looking for deals on Facebook Marketplace. Thanks a million for all your likes, pins and comments. It makes my day!